Wrexham will have Joe Quigley available for Saturday's FA Cup tie against Gainsborough Trinity. 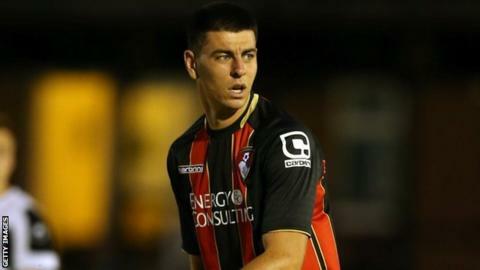 Quigley is on a month's loan from AFC Bournemouth, who are happy for the striker to play in the fourth qualifying round. But midfielder Jon Nolan, on loan until January, has been denied permission by parent club Lincoln City. "I'm disappointed Lincoln aren't allowing us to include him," boss Gary Mills said. Wrexham have doubts over captain Connor Jennings and fellow forward Adam Smith for the visit of National League North side Trinity.